Shri. 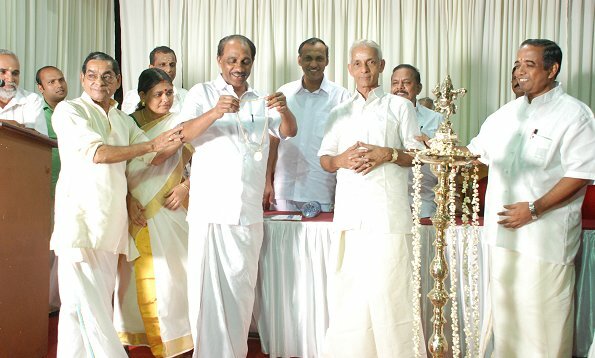 Kalamandalam M Gopalakrishnan was born on 23rd of March 1952, as the son of Achipraveettil Kuttikrishnan Nair and Mangalassery Kunhukutty Amma in Naduvattom village, near Kuttippuram. After Matriculation he joined Kalamandalam to study Kathakali music during 1969-1970. He learned Kathakali music from Shri. Kalamandalam Neelakandan Nambisan, Kalamandalam Gangadharan, Pallam Madhavan, Kalamandalam Madambi Subrahmanian Namboodiri and Kalamandalam Ramankutty Warrier, and learned Carnatic music from Irumpanam Shankara Warrier, N K Vasudeva Panikkar and Kodandaramaiyyer. 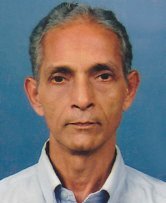 After qualifying Diploma course in 1976, Post Graduate course in 1978 and Higher Education for two years with Central Government Scholarship in 1980, he worked in Ernakulam Cochin Cultural Centre about one and half years and in Vigyana Kalavedi, Chengannur for 6 months. After that he temporarily served Kerala Kalamandam.In 1982, he started working in RLV College of Music and Fine Arts as Kathakali Music teacher. After long service of 26 years he retired in 2008. Received Kerala Kalamandalam Award 2016 for "Kathakali Sangeetham" on 9th November 2017.